Meet Your Neighbor Nick Burg, 18, of Stronghurst. Nick was born in Galesburg, raised in Stronghurst, the son of Brent and Jodi Burg. He has one sister Ashli, a West Central 8th grader. Nick is Senior Class President of the first graduating class at West Central, and largest class (96 seniors) at the newly consolidated county school. Nick has participated in football, basketball, baseball, track, Drama Club, Art Club, Spanish Club, S.A.E., and National Honor Society. He attends the Stronghurst United Methodist Church, the Stronghurst Christian Youth Group, and active in 4-H. 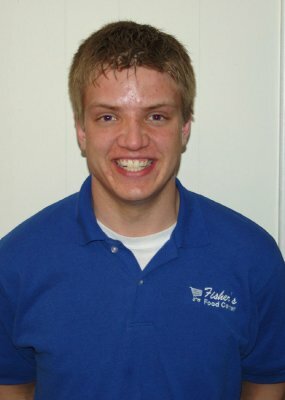 He works at Fishers Food Center, Stronghurst and if free time he likes to hang out with friends and family, play sports, likes to draw, and enjoys traveling with family to visit family. Nick plans to attend Truman State University in Kirksville, Missouri to gain a B.S. degree in Psychology, and then enter law school to pursue his childhood dream to become a lawyer. If he could change the world, he said, he would stop poverty. Nick's grandparents are Byron and Catherine Burg of rural Stronghurst, and Helen and the late Ernie Johnson of Roseville.